Croyant que le voyage serait de 4 heures, je suis parti vers 8H30 le vendredi 20 novembre 2008 avec Dave H, un géologue américain en visite à San Miguel de Allende depuis deux mois, dans ma Volkswagon coccinelle 1995. Nous voguons sans problème vers Quérétaro, que nous évitons grâce à l’autoroute, et allons direction sud passé SAN JUAN DEL RIO, puis nous quittons l’autoroute en direction est sur la route nationale 45 (une fois dans Hidalgo) et ensuite vers la 85. Après avoir vu le superbe fleuve Moctezuma entouré de cacti variés, de la hauteur d’un superbe pont nous continuons notre chemin. Soudainement le paysage change totalement…. Il y a plein de nuages, de la pluie, du brouillard, et d’immenses montagnes le long desquelles serpentent la route 85 …inlassablement pendant des kilomètres et pendant au moins 3 heures. Nous arrivons à l’embranchement de la route pour Pisaflores vers 16h30 ….et à tout hasard nous demandons avant de descendre les 18 kilomètres (de 1500 mètres à 250 mètres) vers Pisaflores s’il y avait un hôtel à Pisaflores…. OUI… alors malgré la pluie et l’heure tardive nous descendons sur un chemin pavé vers le village où nous trouvons effectivement un petit hôtel et nous prenons chacun une chambre pour $15 chacune.. un lit une douche ça suffit… Il pleut encore…. La ville a beaucoup grandit depuis 1965 quand j’y suis allé, et quand nous avons ouvert la route vers Pisaflores. En 1969 ils ont construit un imposant pont sur le fleuve Moctezuma et depuis l’électricité, le téléphone ont atteint la petite ville qui compte plusieurs pharmacies, plusieurs médecins (dont un comme maire), plusieurs camions de police (au moins trois), et plusieurs politiciens. Quand j’y suis allé il n’y avait qu’un médecin qui faisait son stage obligatoire avant de pouvoir pratiquer, aucune pharmacie et à peine un magasin général. Il semble que l’économie soit surtout centrée sur la culture du café (et du maïs). Il y a toujours l’école primaire publique, une école secondaire, mais l’école catholique a été abandonnée (j’avais enseigné une deuxième année….puisqu’ils n’avaient aucun professeur)…. Ils ont construit une très belle et grande église catholique. Nous avons bien dormi, mais à 6 heures du matin j’étais debout pour prendre des photos… il ne pleuvait plus. J’ai aussi acheté beaucoup de café local. Nous sommes arrivés à 18h30 à San Miguel. Nous avons été à une réunion aa et j’ai apporté avec moi mon sac à dos contenant mes caméras etc…. Une fois rendu chez moi vers 21 h je me suis rendu compte que je n’avais pas mon sac à dos… j’ai pensé l’avoir oublié au local de la réunion aa… aucun signe du sac dans le local… le lendemain je fais toutes sortes d’investigations, pour apprendre que le sac se trouvait, ouvert, devant le local des aa… Un couple l’a vu et devait le prendre… mais comme j’ai appris ce soir… ils l’ont laissé sur la rue ne sachant pas à qui il pouvait appartenir…. Triste conclusion de voyage… mais je garde en moi les souvenir et ce fut très satisfaisant de voir ce village si perdu et lointain qui a marqué ma vie. On November 21st 2008, I left from San Miguel de Allende in the state of Guanajuato in Mexico, to return to the state of Hidalgo, specifically to Pisaflores where I had been with a group of Canadian University students in the summer of 1965. By the map I figured I could make the trip in about 4 hours with my 1995 Beattle Volkswagon. An American friend, a geologist, was accompanying me. We drove south, towards Queretaro, passed San Juan del Rio and then headed east, first on the 45, and then on the 85 highways. Once we crossed the mighty Tula river we noticed a definite change in vegetation, from the semi desertic plateau with cacti to the rain forests with pines and lots of greenery as we got closer and closer to the Sierra Madre mountains. By then we had driven for 4 hours --- little did we know that we still had to drive in the rain, in the fog, and in the curved road in the mountains, at 30 km an hour, for another 4 hours before we reached the road that led to Pisaflores. Around 4:30 pm we arrived at a junction, 18 kms from Pisaflores, and asked if by any chance there was a hotel in Pisaflores—otherwise given the late hour we would have headed for the close-by CHAPULHUACAN that appeared to have a good hotel. To our surprise, there was a hotel in Pisaflores with several rooms so we headed down the paved road all the way to the town, after crossing a bridge over the impressive Moctezuma river. The rooms were $15 (150 pesos) and had a bed, sheets, a shower and washroom and toilet paper. Unfortunately it was raining and it was somewhat foggy but at least the weather was warmer than up above at the level of Highway 85!!! We explored the town, noticed the many businesses, at least 3 pharmacies, a photographic store, several doctor’s offices, hardly any real restaurants. We headed for the church: a beautiful, modern church and walked along the Rio Blanco that crosses the town and bought some coffee in a shop, where the 80 yo owner remembered the Canadians, in particular a guy called JAIME (JAMES….). We bought all the coffee he had. After a rest we returned to the town square that now had 3 police trucks and a pharmacy where the General Store used to be. We ate some beef and chicken tacos right there on the square and they were very tasty. There were lots of happy people, kids, couples walking around. There was electricity, satellite dishes, phones. The next morning I got up early to take some photos (I would later lose the camera and all the photos on my returning to San Miguel de Allende). We had breakfast on the town square eating a corn dish with chicken (the corn looked like couscous) –with cinnamon flavoured coffee. It was all very tasty and neither of us were sick. I asked the lady who was serving breakfast when they had built the bridge,,,, she figured it was completed sometime in 1969. She remembered the Canadians and Father Jesus (Zepeda), who had since passed away she said. I bought some more coffee from Pisaflores at a different store on the other of the square. It was time to return (9:30 am). The visit made a strong impression on me. I recognized the street and the house where we had camped for at least 6 weeks. I have been reflecting on our role in those days. We had built a road at father Jesus’ urging with the campesinos. I had taught grade 2 at the catholic school, which was still there but not used as a school anymore. I had worked as the translator for the nurse, Pauline Proulx, in Pisaflores and in the villages around. Sometimes I could not translate as the patient would speak only an Indian language—but to make him understand that we came from very far, the patient was told that we came from Mexico City!!! Pisaflores is a beautiful town, and its main activity seems to be the growth of coffee and corn. Its inhabitants look happy and fairly prosperous. Our road had allowed Mexico to reach Pisaflores. It has allowed the establishment of a public health clinic, a high school, health care, electricity, water treatment among other visible changes. After driving such a long distance I figured I would not return. But I might very well do return, maybe in a less rainy season. In the end it seems that father Zepeda built the road that the government would not build. It seems now that the Hidalgo government is fulfilling its role of serving also the people of Pisaflores. I ended up studying medicine and psychology and became a cardiologist that practised in Gatineau, Québec, for 23 years until my retirement 3 years ago. 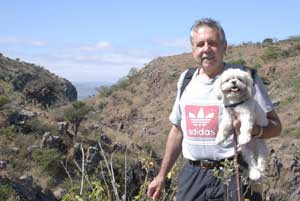 At my retirement I headed back to Mexico and settled, at least for 6 months of the year, in San Miguel de Allende. They hope to deter journalism. El atentado con granadas contra el periódico El Debate, que afortunadamente no cobró víctimas, es un artero ataque a la libertad de expresión y, como lo dice José Isabel Ramos, su Director General, una intimidación al ejercicio del periodismo sinaloense. The grenade attack aimed at the newspaper El Debate, which fortunately claimed no victims, is a direct attack on the freedom of expression and, as was stated by its chief executive officer Jose Isabel Ramos, a threat against the practise of Sinaloan journalism. Manifestamos nuestra solidaridad con los directivos y personal de ese medio, y nuestro más enérgico reclamo a las autoridades de justicia de que se capture y castigue a los responsables. We are in solidarity with the directors and the personnel of this publication, and we fully support their demand that justice authorities pursue and punish those who were responsible. Comprendemos el desconcierto, el miedo, la impotencia, el agravio y el coraje contenido de los integrantes de ese medio, porque en Noroeste sufrimos un ataque similar en 1994 (si el Alzheimer no se acuerda de nosotros), cuando manos criminales y jamás castigadas arrojaron una bomba incendiaria en el área de recepción, que por suerte sólo causó daños materiales. We understand the confusion, the fear, the powerlessness, the disruption and the courage shared by the workers of this newspaper, because Noroeste also suffered a similar attack in 1994 (if Alzheimer’s hasn’t confused us), when criminal elements who were never punished tossed an incendiary bomb in our reception area, and which fortunately only caused physical damage. El ataque a ese periódico es un lamentable indicador de que ninguna institución ni autoridad de gobierno pone tope a la delincuencia organizada en Sinaloa, que a cada hora avanza con mayor descaro en el terreno que pertenece a los ciudadanos, víctimas del violento despojo. The attack on that newspaper is a sad indicator that no institution nor government authority can put a stop to organized crime in Sinaloa, which is boldly increasingly and reaching into the private lives of citizens who are become victimized by the violent plunder. Cuando la sociedad cree que los delincuentes ya llegaron al límite del crimen, el hampa comete una nueva y peor fechoría. When we think that crime could get not get worse, the underworld commits a new and even worse act. Cuando el 8 de octubre un comando de 30 gatilleros "tomó" las instalaciones de la Secretaría de Seguridad Pública para rescatar a un detenido, se pudo haber pensado que habíamos llegado al colmo de la delincuencia. Pero no fue así, el 29 del mismo mes un grupo armado rescató un cadáver del Semefo. When on October 8th an attack unit of 30 shooters “stormed” the headquarters of Public Security to rescue a prisoner, it was possible to think that this criminal act was the last straw. But it wasn’t to be, on the 29th of the same month an armed group recovered a body from Semefo (forensic morgue). Ni tampoco ahí paró el descaro, el 10 de este mes fueron "levantados" 27 jornaleros agrícolas, cuyos captores los liberaron tres días después, evidenciando la ineficacia de las autoridades, tanto en prevención como en procuración de justicia. And it didn’t stop there, on the 10th of this month 27 agricultural labourers were abducted only to be released 3 days later by their kidnappers, demonstrating the inefficiency of authorities, not only in terms of prevention but in their fulfillment of justice. Sunday’s attack against a newspaper and, along with it, was aimed at all of us since the media are channels of information and community expression; there was also the abduction and eventual release of Azteca television and Radio Mazima 103.3 announcer Nelson Amparán. Today, we don’t know what further threats will be coming our way to overcome us: and tomorrow…???? ¿Y el Gobernador? And the Governor? Mientras la sociedad sigue perdiendo espacios, secuestrados por la delincuencia, y el temor se extiende y profundiza, el Gobernador Jesús Aguilar Padilla y su Gabinete de (in)seguridad parecen poseer un ánimo imperturbable ante la violencia, nada los asombra, nada los conmueve, nada los indigna, nada hacen... Todo es "normal". And while society continues to lose ground, held captive by crime, and while fear spreads in a profound way, the Governor, Jesus Aguilar Padilla and his Cabinet of (in)security appear to have an unbroken spirit in spite of the violence, not for them the shadows, nothing shakes them, nothing makes them indignant, they do nothing… Everything is “normal”. Ayer el Mandatario estatal no dijo "esta cara y esta boca son mías". El atentado mínimo obligaba a un comunicado público de su parte, como lo hacen los gobernantes en los estados y países donde rigen las instituciones civiles. Pero prefirió ausentarse de las actividades públicas. Yesterday, the State’s chief executive didn’t say “this face and this mouth are mine too” (“I share your grief?”). The attack merited only a public communiqué on his part, like the ones issued by goernors of states and countries where civil authorities govern. He chose to excuse himself from public activities. Les dejó a sus funcionarios de seguridad y justicia el paquete explosivo, porque a él le tocan sólo los eventos positivos o bonitos, como la inauguración que encabezará hoy del edificio sede del Poder Judicial de la Federación. He left this explosive bombshell in the hands of his security and justice functionaries, because he only wants to talk about good and positive things, like today’s dedication of the new headquarters for Federal Judicial Power. Y a propósito del secuestro del espacio social: Ni el clima sabrosón ni el ambiente siempre festivo de Mazatlán, que relajan hasta al más tieso, propiciaron que la politóloga Denise Dresser fuera condescendiente en el análisis de los grandes problemas del País, que invitada por la Coparmex hizo el viernes en el puerto. And what of the proposition that our social space has been kidnapped. The festive climate of Mazatlan, which warms even the most rigid person, didn’t stop the political scientist Denise Dresser from cutting to the chafe in her analysis of the big problems of the country at a Coparmex forum last Friday in the port city. El diagnóstico es demoledor: México está secuestrado por sus élites económicas, políticas, intelectuales, además de la violencia del narco y la apatía ciudadana. The interpretation is devastating: Mexico is held captive by its economic, political, and intellectual elite, in addition to narco-violence and the apathy of citizens. Sólo que en el plagio denunciado por la analista nadie pide rescate, y tampoco hay alguna institución que investigue el caso, capture a los plagiarios y libere al secuestrado. Even during this plague described by this analyst there is no one is asking to be rescued, and no institution is investigate the situation, and there are no arrests the kidnappers nor release for the kidnapped. La conclusión es poco esperanzadora, porque la periodista considera que para rescatar a la Nación es necesaria la intervención de héroes, y los ciudadanos es hora que no se deciden a ponerse la capa. This conclusion gives little reason for optimism, because the columnist believes that the nation will be saved only if a hero intervenes, and citizens are not demanding that someone puts on the cape. "Un país desconcertado y cabizbajo donde nadie sabe a quién apelar, dónde acudir, en qué gobierno confiar... un lugar donde existen ciudadanos ya dispuestos a ceder libertades si consiguen seguridad a cambio". Ese trazo de la apatía ciudadana encaja perfectamente en Sinaloa, donde la crisis de inseguridad ha provocado una dejadez social. This outline of citizen apathy fits Sinaloa perfectly, where the crisis of insecurity has provoked social laziness. Las palabras de Denise deben haber retumbado en el salón donde ofreció la conferencia: "a quién apelar, dónde acudir, en qué gobierno confiar". Es exactamente el vacío de instituciones y de líderes que padece la entidad. Denise’s words should have shaken in the room where the conference took place: “who should be called, where is there help, which government should we trust”. It’s exactly this vacuum in institutions that is afflicting our existence. Aunque Dresser habló en general del País, sus opiniones no son ajenas a la realidad de Sinaloa. Even though Dresser was speaking generally about the country, her opinions are not far from the reality of Sinaloa. "El narcotráfico y la violencia son otros síntomas de que el sistema no funciona. Muchos critican la violencia que el narcotráfico produce, pero pocos hablan de la estructura social, política y económica que la hace posible. Ese andamiaje de políticos que protegen a narcotraficantes y narcotraficantes que financian a políticos". “Narcotraffic and violence are sign that the system is not working. Many criticize the violence that narcotraffic has produced, but few mention the social, political and economic structure that makes this possible. This scaffolding of politicians who protect the narcotrafficlers and the narcotraffickers who finance the politicians. Y en este caso todos somos rabones, los vecinos que hacen fiesta y sientan al narquillo del barrio en la mesa de honor; el político que llega alto porque un capo le puso bajo los pies sendas pacotas de billetes; el malandrín que crea empresas y genera empleo con dinero manchado de sangre y tragedia; y el narco que ávido de poder decide legislar o gobernar, porque fuero y camioneta blindada lo hacen prácticamente invulnerable, intocable. And in this case we are all like rabid dogs, the neighbours who hold parties and seat the local narco at the table of honour; the politician who gets to the top because a capo is pushing him upwards with bales of money under his feet; the no good who creates business and creates jobs with money tainted with blood and tragedy; and the narco anxious for power who decides to create laws or govern, and behind his truck’s shaded windshield is practically invulnerable and untouchable. Al igual que Dresser, esta casa editorial ha denunciado el peligro de la narcopolítica, colada hasta el tuétano social y gubernamental, y las advertencias de la politóloga refuerzan nuestra tesis. Parece que no somos los únicos que gritamos en el desierto, las voces de alerta empiezan a multiplicarse. Along with Dresser, this publishing enterprise has denounced the danger of narcopolitics, deeply engrained in our social life and government, and the warnings of this political scientist reinforce our argument. It appears that we are not the only ones who are shouting in the desert, the voices of warning are beginning and will expand. Primero los cuates First the buddies. "A predatory State, cynical opportunistic, where the objective of Governance is not to bring about public good, like hospitals, clinics, schools, but is instead to generate private wealth for its functionaries and for its friends? " Con agudo ingenio, la analista bautiza a ese sistema económico como "capitalismo de cuates". ¿A poco no describe exactamente lo que sucede en Sinaloa? With an piercing wit, this analysis baptized this economic system as a “capitalism de buddy-boys” Does anyone think that this isn’t what is happening in Sinaloa? Tan cuates que algunos viven juntos en el mismo fraccionamiento privadísimo (inexpugnable hasta para el Ejército), como Corleone y su Familia en su fortaleza de Long Island. They are such strong buddies that they live together in the same exclusive neighbourhoods (not even penetrable by the army), just like the Corleone family stronghold of Long Island. Tan cuates como la Generación del Centenario, cuyos integrantes gozan de chamba en el Gobierno por el mérito de haber compartido carrera con Jesús Aguilar Padilla. So fraternal is this Centenario Generation (the University of Sinaloa class of 1973 – the 100 year of its founding) that its members enjoy the benefits of government for simply sharing the career of Jesus Agular Padilla (the Governor). La lista de los grandes problemas de México es cerrada por la apatía de los ciudadanos, en los que paradójicamente radica la solución. The list of big problems for Mexico is invisible because of citizen apathy, and paradoxically the solution lies with them. According to Dresser, the salvation of the country can only be realized by its citizens, but this means that they have to forget their apathy and transform themselves into heroes. "Hacen falta los héroes grandes y pequeños..., hacen falta los mexicanos que recogen la basura en lugar de tirarla, los que pagan sus impuestos en lugar de evadirlos, los que se paran en el semáforo en lugar de debatir si lo hará o no, los mexicanos que denuncien la corrupción, los que estén dispuestos a comportarse como dueños de su País y no sólo como inquilinos que lo rentan". Aquí en la entidad, con sus honrosas excepciones, la inseguridad tiene a los ciudadanos tan desconcertados y pico caídos como la gallina maniada que utilizaron en sus bailes los indígenas que recién celebraron la Danza por la Tierra en la Isla de Orabá. Here in this place, with a few honorable exceptions, insecurity has left citizens so disheartened and crestfallen (?translation?) just like those chicken hanging heads used by the Indians who recently celebrated a Dance for the Earth on Oraba Island. Malecón es columna institucional de esta casa editorial Malecon is a general column appearing regularly in Noroeste.